Guitar necks vary in shape and size, as I'm sure you know. The shape and thickness of the back of the neck affect playability and are a matter of personal taste. 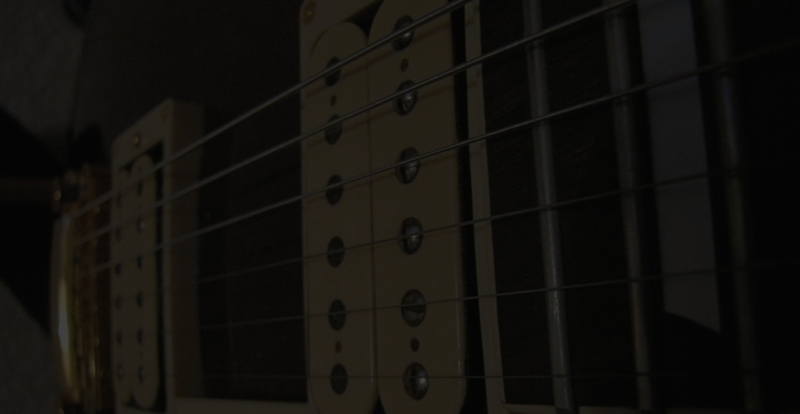 Quite possible the most significant characteristic of the guitar neck is the fingerboard width and radius. The wide and fairly flat approach has gained much popularity over the past 20 years due in part to bend strings without the note dying. This "fretting out" is common on fingerboards which are more curved (a smaller fretboard radius). 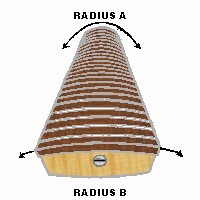 The fretboard radius is measured by taking a slice of a certain diameter circle. The smaller the circle radius, the more curved the fingerboard will be. Old Fender guitars featured a small fingerboard radius (7-1/2") and a narrow neck. For this reason, these necks are more comfortable for some people, especially those with small hands. Enter Warmoth, who popularized the compound radius neck. To further facilitate string bending, they created a neck which gradually changes from a 10" radius at the nut (radius A below) to a 16" radius where it joins the body (radius B below). Many manufacturers have adopted this approach, especially in custom made models. But where does this leave the player who favors the old Strat neck? The answer: with high action. I personally like the feel of old Strat necks but prefer the strings fairly close to the frets. My solution: I removed the frets on a Strat-style guitar, compounded the radius from 7.5" (radius A above) to 10" (radius B above). I then refretted the neck with medium frets. DO NOT TRY THIS AT HOME unless you have some experience. I now have a neck which maintains a vintage feel while allowing lower action and better string bending. I wish someone would put this neck into production; it has a great feel but it took a lot of delicate work to compound the radius by hand.